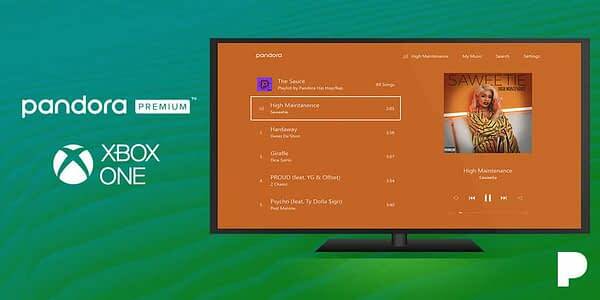 Pandora and Microsoft have announced a partnership to bring Pandora Premium to the Xbox One family of consoles. Starting today, you can stream your favorite songs as background music while you game, allowing you to really set the mood with a self-curated theme track. You’ll be able to use the app to search and play albums and songs, as well as create personalized playlists – whatever you prefer to get yourself ready. The Xbox One app will work with whatever version of Pandora you have, so you can enjoy the service free with ads and limited skips, or go with the unlimited skip, add free version on Plus – or create your own playlists with Premium. The key really is that you’ve got the ability to listen to Pandora and game at the same time, on the same console. For the Xbox One edition, the app has a new look to make it work better on a game console. It’s also got autoplay so you can keep songs going with Pandora matching you to similar artists so you don’t have to stop mid-battle to chose new music. And it’ll all continue to play in the background with some additional audio support and search tools to make things go smoothly.